I spoke with AJ from Art Junkie today, and he indicated that these shirts will ship out sometime in late April, but that all orders must be received no later than April, 10th. Attention all Yudekkii! Here's your chance to support the Japanese earthquake and tsunami relief efforts in classic Kinnikuman style... Go GO 友情パワー!!! 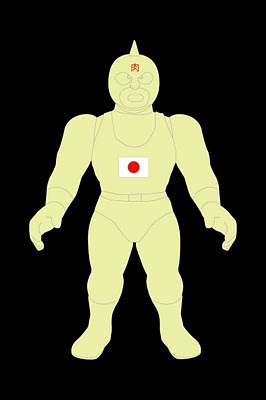 Five Star Toy announced this week they they will be releasing an extremely limited, glow in the dark, "True Friendship Power" Kinnikuman sofvi, with 100% of the proceeds going to charity. Keep in mind that this figure will be offered for a limited time only! Pre-orders started on 3/25 and run through 4/22. Email Five Star directly if you want in on this noble sofvi offering. Check out this fantastic new design from the Art Junkie Tokyo Professional Pop Art Series! 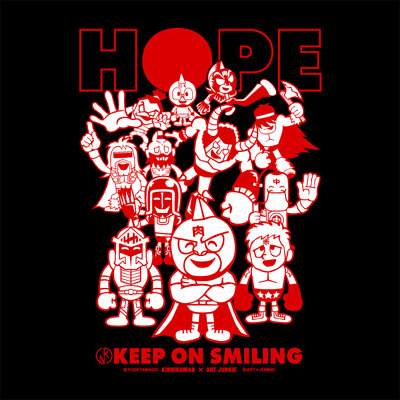 Visit the Art Junkie Web Shop and pick up one of their great Kinnikuman T Shirt designs. Art Junkie will donate 10% of the price to the ongoing relief efforts in Japan! 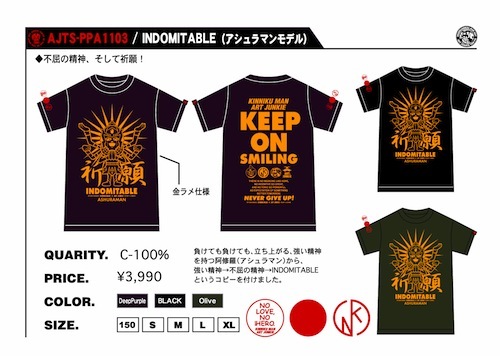 Japan still needs our help ~ Donate directly via PayPal to the Japan Earthquake and Tsunami Relief Efforts! Over the past few weeks Fuji Television aired two radio interview segments featuring Shimada-sensei of Yudetamago for their Tsukakin Friday podcast show. While the usual Yudetamago and Kinnikuman histories were covered, I also picked up on a few things I had never heard before. Did you know that there are over 76 Million copies of Kinnikuman in print? Amazing but true! You can also download the iTunes Podcasts here. Nama Niku Japan Relief Auction on eBay - Bid Now! You can help by selling your items on eBay through eBay Giving Works to support the Japan Earthquake and Tsunami Relief Fund or American Red Cross. Keep in mind that you can choose to donate anywhere from 10% - 100% of the winning bid/BIN price! You can also Donate directly with PayPal! 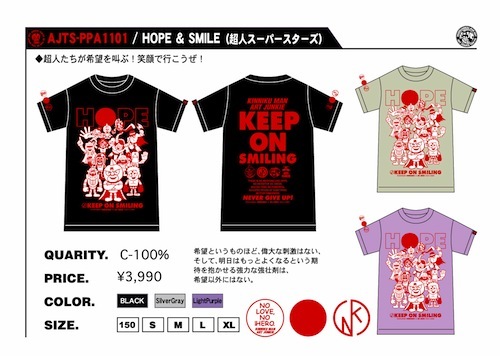 Now is the time to help our Friends in Japan! Go GO 友情パワー! 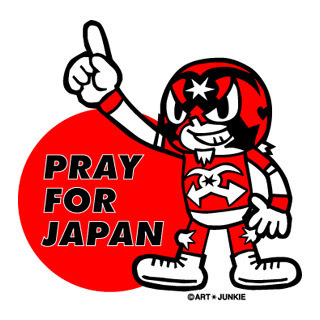 Wherever you are in the world today, please give your support to Japan ~ The Japanese people need our thoughts and/or prayers (however you roll)! Now is the time to show true 友情パワー (Friendship Power)! Take Action Now ~ Donate to the American Red Cross Japan Earthquake Relief or continue to support the Japanese Manga, Anime and Toy industries with your crazy and dedicated collecting prowess! Osaka Nipponbashi Street Festival ~ Kinnikuman Event! The 7th Annual Osaka Nipponbashi Street Festival takes place on March 21st, and features an exclusive Yudetamago speaking and signing engagement sponsored by CCP and JUNGLE Special Collectors Shop. 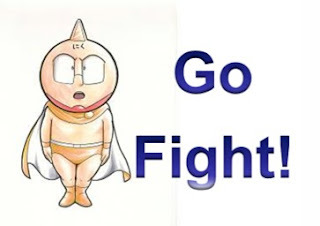 Over 100,000 people are expected to attend the Street Festival, however only 120 lucky people will be let into the Kinnikuman special event. 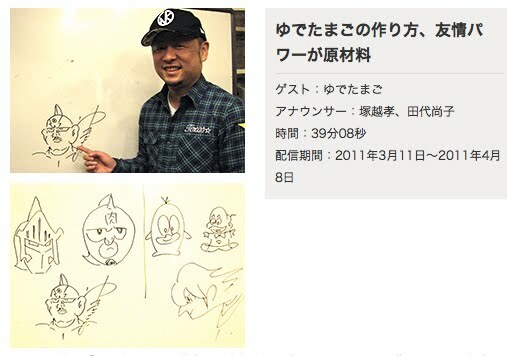 The speaking engagement will feature Shimada-sensei, and is expected to cover a range of Kinnikuman topics, followed by two handshaking and signing events limited to 30 crazed Yudekkii per session. The kicker here is that the signing and hand shaking opportunities are only available to the fans who are lucky enough to purchase of one of two extremely rare, Street Festival exclusive CCP figures sets. 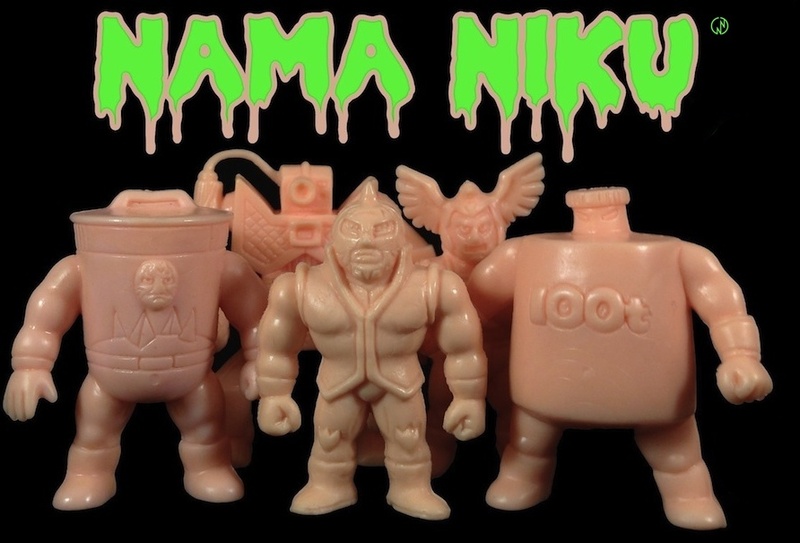 To all my little Nikumaniacs out there, say your prayers, take your vitamins and check out this exclusive, "Hulkster," version of Neptuneman from Five Star Toy and Punk Drunkers! Bronzed Choujin vinyl never looked so good! This has got to be one of my favorite Sofvi color schemes, and I have to give major props to Punk Drunkers and Five Star for busting out such a fun twist on one of the greatest characters in the Kinnikuman universe. Black or White in sizes S -XL @ 4,935円 a pop over @ the Punk Drunkers product order page. The concept behind Nama King is pretty simple. 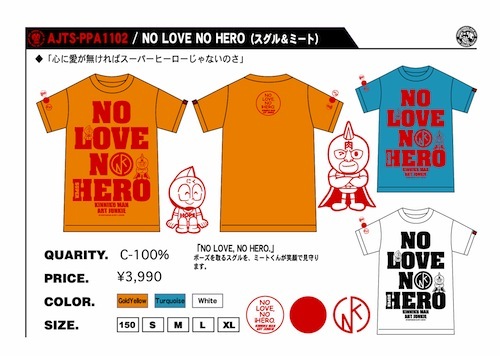 I wanted to incorporate King the 100t and the idea behind 生肉/Nama Niku; raw passion and dedication to Kinnikuman and Niku Mania! If my submission is welcomed into the Mad Collaboration fold, the readers of Nama Niku will be the first to know... and you of course will be the first Yudekkii with a chance to get your hands on one! Last but not least, there was a big reveal from Mad Joe this past week when he showcased the first open invitation custom figure, Knoivin. I believe he said the keshi was created by an artist going by the name of "Wolverine Burgers." This is a very strong and crazy interesting design, somewhat reminiscent of the mushroom people in Matango.